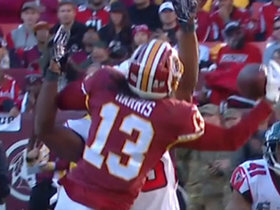 Harris caught two passes for 20 yards on two targets in Sunday's 20-13 win over the Giants. 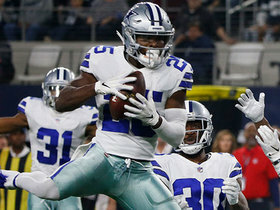 Analysis: Harris hasn't been able to take advantage of injuries at his position, averaging just three targets and 18.3 yards the past three weeks while filling in for Jamison Crowder (ankle) or Paul Richardson. Washington's wideouts have offered few hints of production, but we could see at least one have a decent game in a soft Week 9 matchup with the Falcons. Harris will start at slot receiver for Jamison Crowder (ankle) against the Cowboys on Sunday, Adam Schefter of ESPN reports. Harris will likely enter the starting lineup at receiver Sunday against the Cowboys with Jamison Crowder (ankle) ruled out for the contest and Paul Richardson (shoulder/knee) doubtful to play, Adam Schefter of ESPN reports. Harris caught three of four targets for 13 yards in Sunday's 23-17 win over the Panthers. 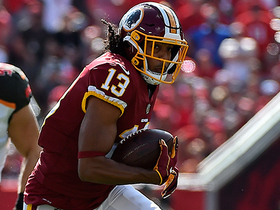 Analysis: Harris played 63 percent of the snaps on offense with Jamison Crowder (ankle) out of the lineup, ranking fourth on the team in targets behind Jordan Reed (nine), Josh Doctson (six) and Paul Richardson (five). Harris could have another opportunity at regular playing time if Crowder isn't ready for Week 7 against Dallas, but there isn't much reason to believe the snaps would lead to production. 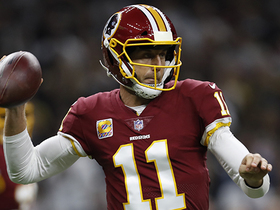 Harris will likely enter the starting lineup Sunday against the Panthers with Jamison Crowder (ankle) not expected to play and Paul Richardson (shoulder/knee) trending toward a game-time decision, Ian Rapoport of NFL Network reports. Analysis: Even if Richardson is cleared to play, Crowder's projected absence would leave a spot open for Harris in three-wideout sets. Moreover, the Redskins are also expected to be without pass-catching maven Chris Thompson (rib/knee), leaving more volume to go around for the team's other targets. 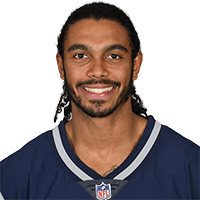 That combination of injuries should create ample opportunity for Harris, who turned in his best showing of the season in the Week 5 loss in New Orleans (three catches for 47 yards on eight targets). Harris may have a significant role on offense Sunday against Carolina, with fellow wideouts Jamison Crowder (ankle), Paul Richardson (shoulder/knee) and Josh Doctson (heel) all listed as questionable, Jake Kring-Schreifels of the Redskins' official website reports. 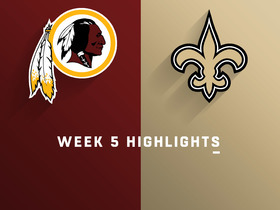 Harris is expected to be in the starting lineup for the inactive Josh Doctson (heel) on Monday at New Orleans, John Keim of ESPN.com reports. Analysis: The start will be the first of Harris' two-plus campaigns as a pro. With an early-season concussion behind him, he should be on the receiving end of at least a handful of Alex Smith passes. Previously, working with Kirk Cousins, Harris recorded 12 catches (on 18 targets) for 128 yards and one touchdown in 16 games. Coach Jay Gruden said Harris will probably start at receiver during Monday's game at New Orleans if Josh Doctson (heel) isn't able to play, JP Finlay of NBC Sports Washington reports. Analysis: Doctson aggravated a heel injury during Wednesday's practice and was held out Thursday and Friday. He seems to be trending toward a Week 5 absence, potentially setting up Harris to join Jamison Crowder and Paul Richardson in three-wideout formations. Harris (concussion) is active for Sunday's game against the Packers. Analysis: Harris was expected to play after being a full participant in practice this week. He has missed nearly a month due to his concussion and isn't likely to see significant time Sunday. 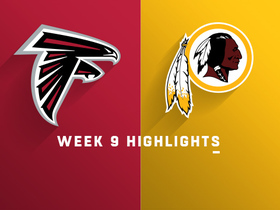 Harris (concussion) is listed as questionable for Sunday's game against the Packers, John Keim of ESPN.com reports. Analysis: Slow to recover from a concussion, Harris is on track to play for the first time this season after logging full practices throughout the week. He'll likely operate as Washington's No. 4 receiver, though he could step up to No. 3 if Paul Richardson (shoulder, knee) is absent or limited. Harris (concussion) was a full practice participant Wednesday, Josh Tolentino of The Athletic reports. Analysis: Bothered by concussion symptoms for nearly a month, Harris has finally made it back to full practice participation, setting himself up for a season debut Sunday against the Packers. He'll likely serve as Washington's No. 4 wide receiver, with the potential to slide up to the No. 3 spot if Paul Richardson (shoulder/knee) is limited or unavailable. Harris (concussion) is listed as inactive Sunday against the Colts. Analysis: Harris relayed Friday that he received clearance from the concussion protocol, but the Redskins have decided to exercise caution with the third-year pro after he spent three weeks in recovery mode. The Redskins thus will rely on Jamison Crowder, Paul Richardson (shoulder) and Josh Doctson to lead the way at wide receiver. Harris (concussion) and Paul Richardson (shoulder) are both listed as questionable for Sunday's game against the Colts, Kareem Copeland of The Washington Post reports. Harris (concussion) returned to practice Wednesday as a limited participant. 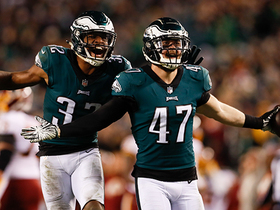 Analysis: Harris has been bothered by concussion symptoms for the past three weeks, sitting out every practice leading up to Sunday's 24-6 win over the Cardinals. He's only No. 4 on the depth chart at wide receiver, but the Redskins could really use him after placing fellow wideouts Cam Sims (ankle) and Trey Quinn (ankle) on injured reserve this week. The receiver group is looking awfully thin behind the starting trio of Jamison Crowder, Paul Richardson and Josh Doctson. Harris (concussion) has been ruled out for Sunday's game in Arizona, Kareem Copeland of The Washington Post reports. Analysis: Harris suffered the initial concussion more than two weeks ago and still hasn't returned to practice. His absence leaves rookie Trey Quinn as Washington's likely No. 4 wide receiver for Sunday's game in the desert, per Copeland. Harris (concussion) wasn't spotted on the field ahead of the Redskins' practice Thursday, John Keim of ESPN.com reports. Harris (concussion) didn't practice Wednesday, Les Carpenter of The Washington Post reports. Analysis: It's unclear if Harris worked out on a side field Wednesday like he did three days earlier, but whatever he did wasn't enough to register as limited participation. With little evidence he's making progress through the concussion protocol, the Redskins may have to turn to rookies Trey Quinn or Cam Sims in the event one of their top three wideouts (Jamison Crowder, Paul Richardson or Josh Doctson) gets dinged up Sunday in Arizona. Harris (concussion) worked off to the side without pads in individual drills during Sunday's practice, Kareem Copeland of the Washington Post reports. Analysis: Harris has yet to clear the league's concussion protocol as of Sunday, so his status for Week 1 against the Cardinals remains in question at this point. Trey Quinn and Cam Sims could step up behind Jamison Crowder (groin), Paul Richardson and Josh Doctson if Harris continues to miss time. Harris is recovering from a concussion, Brian McNally of the Richmond Times-Dispatch reports. Analysis: Harris took the field for warmups before Friday's preseason game against the Broncos, but he didn't end up playing in the contest. He seems to be locked in as Washington's No. 4 receiver, putting him just one injury away from regular snaps on offense. 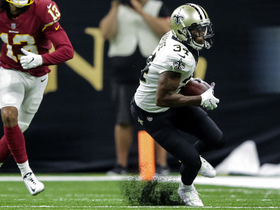 Redskins coach Jay Gruden said Harris may be the best route runner on the team, Sam Fortier and Kimberley Martin of The Washington Post reports. "The thing about Mo is he can play any position, and he is very quarterback-friendly," Gruden said. "He's got strong hands and he's probably - he could be our best route-runner on our team... We have a pretty good group of wide receivers here that's a log jam for that fourth, fifth, sixth, seventh spot, so we'll see what happens." Analysis: While he complimented Harris for his performance early in training camp, Gruden also alluded to the expectation that Jamison Crowder, Paul Richardson and Josh Doctson (shoulder) will form the regular group in three-wide formations. Harris does seem to be a favorite for the No. 4 role, which would leave him just one injury away from significant playing time. Ryan Grant opened last season with the same role and ended up catching 45 passes for 573 yards and four touchdowns. Harris has an opportunity to earn the No. 4 wide receiver role, Rich Tandler of NBC Sports Washington reports.